I would like to introduce you to The Friends of Bridgetown School, aka FOBS. As a committee, we strive to organise fun and interactive events all in aid of raising money for the benefit of the children at Bridgetown School. Every year we hold a variety of events including discos and film nights for the children and bingo and fairs for the whole family to enjoy. All money raised goes towards funding the children's learning and development. We have recently used funds to purchase new reading scheme books across the school and upgraded the ICT equipment. We aim to benefit children from all year groups when deciding how to spend funds. FOBS is made up of parent and teacher volunteers. We hold meetings once a month where we come together to discuss new ideas, plan and organise events and have a good chin-wag. We are always looking for new members for fresh, exciting, new ideas and being a member of FOBS is not only a great way to socialise and meet new people, but also fills you with pride for your team and your school and gives you a sense of accomplishment when an event comes together and the children and their families are having fun. 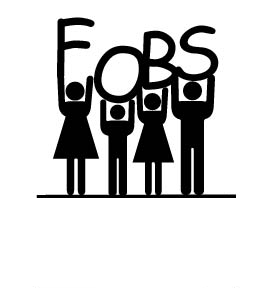 Please don't hesitate to contact me to get more information about FOBS and how you can get involved, if you'd like to join the committee or to be added to the list of occasional volunteers, we love to see new faces. If you would like to support with FOBs events or have any ideas about future fundraising opportunities, please do not hesitate to contact us via this form. We will aim to get back to you as soon as possible. Please note: this form should not be used to book places for events. Thank you. FOBs BIG Fundraising Challenge 2018! As you all know, we are working very hard to raise a significant amount of money for Bridgetown Primary to update the children's play equipment and to install a multi-use all-weather pitch. We have added extra events this year, the Student Governors have organised their own fundraisers and we have a team of mums who are currently working tirelessly to apply for grants from local businesses, all in a bid to raise £95,000 !! Amazingly, we have already raised a phenomenal £35,000 but we are working hard to raise enough for the MUGA. We now have a visual to share with you so you can see what we are working towards. The current KS1 and KS2 play equipment that was condemned, restricting the children's play times, has been replaced with fantastic new equipment so far. It is important to promote a healthy social life for our children and to ensure that they are making the most of their play times. They need structures that will keep them physically fit and healthy, improve agility, maintain energy levels and keep them motivated to enhance their mental ability and concentration in class. We have replaced the KS1 play equipment with a Special Planet Jungle Multiplay unit complete with trapeze crossing, pole slider, wide slide and ravine bridge. KS2 have a brand new Fantasy Funrun Trail including, Clatter Bridge, Slalom Run, Stepping stone gorge, Rope Causeway, Swingalong, Switchback run, and Rolling Barrels. We will also be building a whole new all-weather pitch for all the children in all years to have access to in any weather, complete with artificial grass and markings for football, netball and tennis. We ask for your continued support in our endeavor to raise the much needed funds, be it donating, volunteering and participating in our events, voting when necessary for grants we have applied for, using our online cashback service when doing online shopping, or any other way you can help us. Just some of the FOBs team.... #endofyearmeal! Raise Money While You Shop! Visit the address on the flyer below (or click on the image for a link). Follow the online instructions to sign up and start raising money for FOBs while you do your online shopping! Thank you to everyone for their support with the school Summer Fair... we raised a phenomenal £3236.90!!!!! !